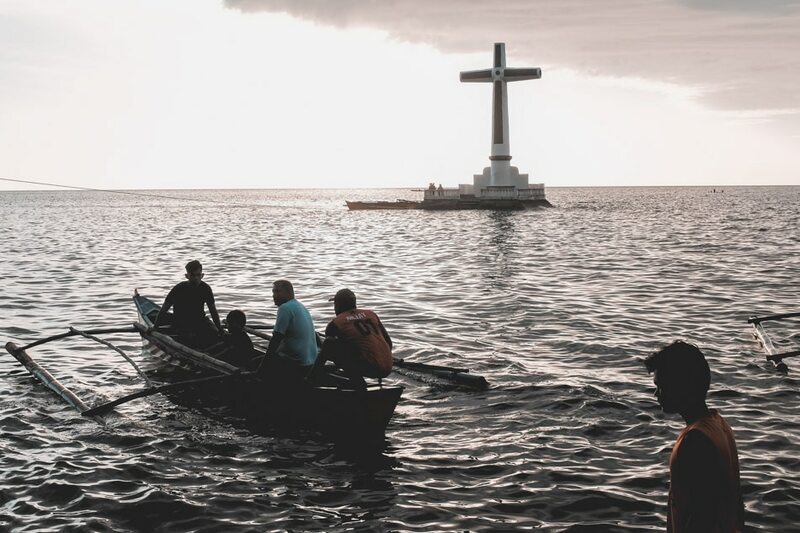 Local fishermen offer tourists a short ride to the Sunken Cemetery in Camiguin, a popular tourist spot expected to receive a number of tourists during the summer. The cemetery, which was commemorated with a cross erected in 1982, was once part of the town of Bonbon which sank below sea level during the 1871 volcanic eruption of the Old Volcano known as Mt. Vulcan.